By 2050, the world will have over 10 billion people. How do we ensure we have enough solutions developed to cater to the needs of all these people? UNLEASH kicked off with inspiring speakers including a keynote that argued that Sustainable Development Goals are universal, integrated, and inclusive. We should leave no one behind when we plan for the future. SDG-compliant solutions entail having meaningful partnerships that involve people, process, and data. It was exciting to have talents from over 100 countries joining hands to contribute to shared goals. It’s the diversity at UNLEASH that results in the development of feasible solutions to worldwide problems. Jobs in the 21st century will require skills such as problem solving, creativity, and critical thinking. Achieving SDG4, quality education, will bridge the gap that exists between the skills that the workforce has today and the skills that will be needed in the future. Solving big and complicated problems for all nations involves not just the development solutions but mass scale solutions. The Innovation Lab process at UNLEASH was an intensive four-day journey. It involved different stages such as problem framing, ideation, prototyping, testing, and implementing. 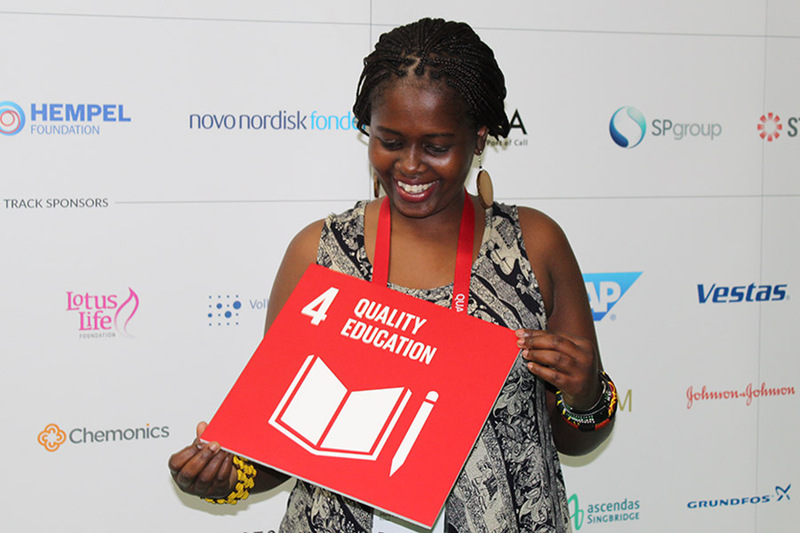 For SDG4 Quality Education, we worked on different sub-themes addressing issues surrounding educators, quality of education curriculum, and access to girls’ education. During the problem framing phase, the first challenge was to articulate a well-defined and specific problem. Being in a team of talented individuals from different countries, career focuses, and cultures, the team brought a wide scope of insights. That diversity resulted in the development of feasible and scalable solutions. My team and I worked through influencing parents’ ability to make sound and right decisions in regards to their children’s educational needs. We focused on Thailand for our case study. Parents ought to ensure their children get quality education by placing them in schools that fit their needs. Many factors are involved in this decision, including academic performance, extra-curricular activities, talents, and even location. Additionally, parents need a platform where they can access the right data and statistics about different schools for them to make sound decisions. Scheduled visits to organizations and institutions in Singapore was a welcome addition to the curriculum. I was excited to be placed in the cohort visiting the Institute of Technical Education (ITE), a post secondary institution with a holistic education policy that stresses a “Hands on, Minds on, and Hearts on” approach to providing career and technical education. 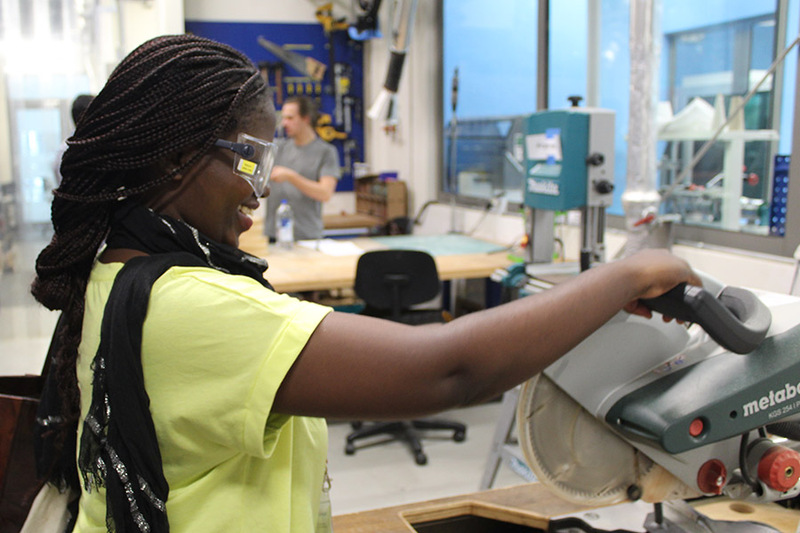 We visited the design thinking space and were motivated by how students at ITE used their talents and creativity to develop marketable industrial products. I was inspired by a hands-on session where I explored a virtual reality world using an Oculus VR gaming simulator. The ideation process involved coming up with a variety of ideas that address the problem previously identified in the first stage. Ideation led us to the final step, the prototyping phase. Part of the prototyping process involved visiting Singapore University of Technology and Design (SUTD) – MIT Makerspaces. We were impressed by the 3D-printed Fabric, Harmonic Levitators, and other examples of emerging technology that we saw there and came away with the impression that 3D printing will definitely change the manufacturing industry for the better. We concluded the innovation process by participating in an intensive pitching session. It was great to listen to all of the amazing ideas that global talents had worked on during UNLEASH. We were even able to showcase our ideas to potential investors in the industry marketplace and funder meet up. It was a great platform to identify key actors in the global social entrepreneurship ecosystem to potentially partner with, and a possible springboard to implement the next big innovation solution to solve the world’s most pressing challenges. UNLEASH also offered a lot of fun and cultural activities as well. We had the opportunity to explore the heart of Singapore and visited landmarks such as the Padang (a cricket field that has been in existence since the 1830’s), The Cenotaph war memorial, Lim Bo Seng memorial, Victoria concert hall, The Asian Civilizations Museum, and the Merlion park. It was all amazing! No wonder it’s called the Lion City. Singapore was no doubt the best choice for UNLEASH 2018 as it proved to be receptive to emerging technologies. The country is set to launch a blockchain platform to track and trace cargo movements. The multiculturalism in Singapore provided a great environment to share and incorporate different ways of working, thinking, and living. What is most fascinating about UNLEASH is the global network one is connected to during and even after the event and the experience participants gained in working through the innovation process. I was proud to contribute to UNLEASH, the world’s largest innovation lab. Youth and Women are visionaries, change-makers and innovators. For any country to succeed, top strategy should be to invest in youth and women. Together, we are stronger and achieve more. The future is ours to create. About the Author: Mary Munyoki is a Program Manager with Youth for Technology Foundation in Kenya.